We got the inflatable Sipaboards SUP surfboard for 2 weeks in for our Electric SUP Sipaboards review including unboxing video and test rides. This was our second review after the Blue Drive fin and more should follow very soon. Scubajet and others have promised to send test samples once available. With about 1,800 EUR the Sipaboards are more expensive than the Blue Fin Drive E-SUP conversion kit, but Sipaboards is shipping the complete E-SUP inflatable surfboard incl. paddle, remote, engine, backpack, etc. If you add 1,300 EUR for a good inflatable SUP you end up with the same price. The quality of the board and the different components looked very good for us and the fit perfectly to each other. What is unique is that the Sipaboards are using the motor to inflate the surfboard. The self inflation in our Sipaboards review took less than 5 minutes. 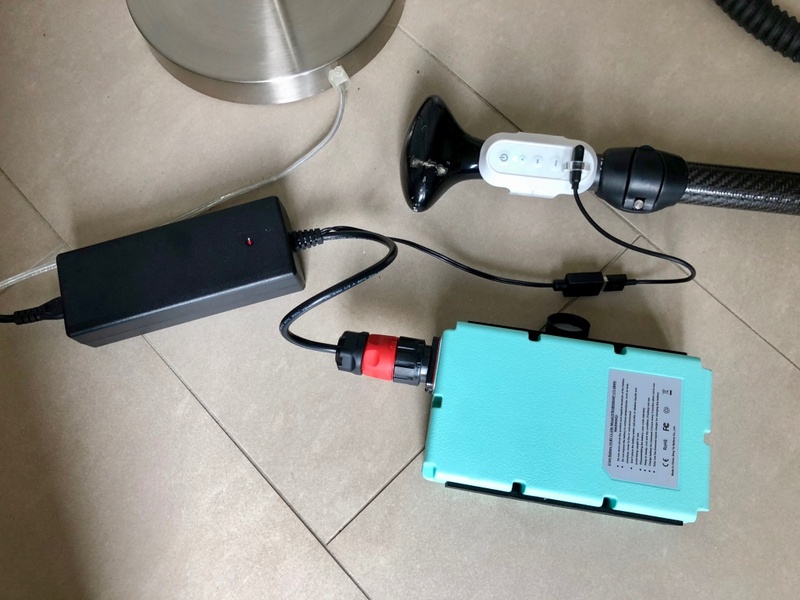 It is a little bit noisy, but not more than other electric SUP pumps. 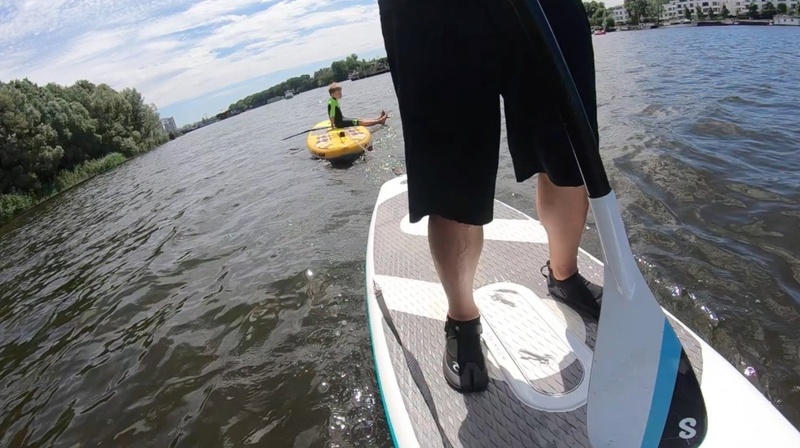 What impressed us most is how well you can use the SUP with the motor turned off. You feel no resistance of the engine at all. This was different with the Blue Fin Drive which is connected instead of the fin while the Sipaboards engine is fully integrated into the board and it still has a fin. The security leash can be very easily used to transport the board and the remote control never lost the connection in our Sipaboards review. The board is very easy and intuitive to use, so even kids learn it in minutes. 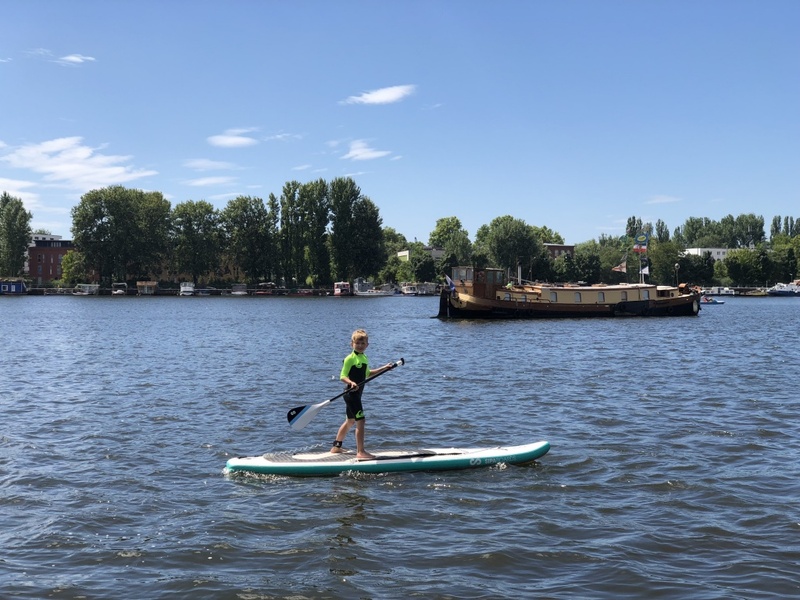 Even with the fully integrated engine, which (you would think) cannot build so much torque as an external propeller, we were able to tow a second SUP with a kid at almost the same speed. The speed is in line with the manufacturers data and about 5-7 km/h. The battery is very small, but still good for 1-3 hours depending on the speed and conditions. 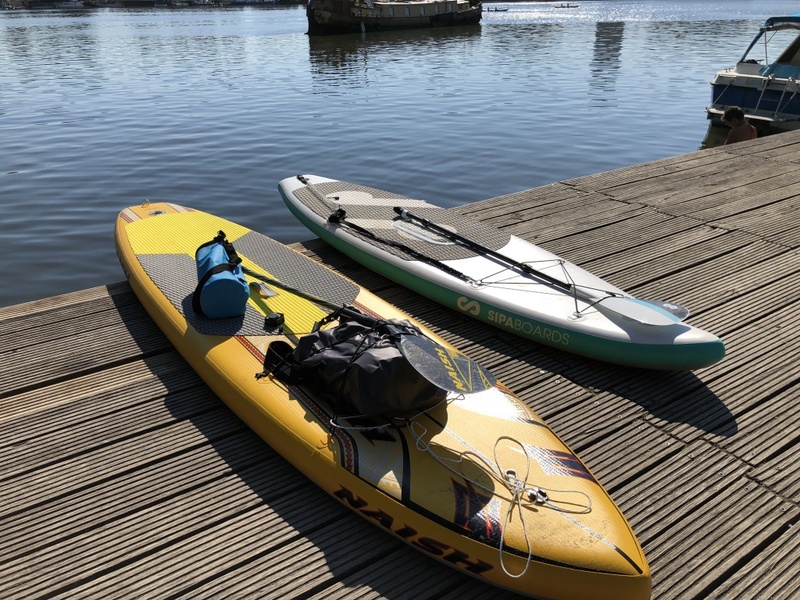 Overall we were very pleased with the Sipaboard and prefer it compared to our inflatable Naish SUP using a Blue Fin Drive.